Love for Design offers a complete range of design services ranging from corporate identity (logos, business cards etc), print media, website design, social media management and advertising, as well as invitations & personalised gifts. Our aim is the publication of challenging reading material to the customized target audiences, focusing primarily in pitching titles for magazines, books, and printed pictorial illustrations of heritage, business and historical events right around the Nelson Mandela Metropolitan area, Eastern Cape province, and secondarily be a catalyst in the development of a 100% Black owned Media House that will be the mouthpiece and a communication tool for our diverse communities. Recent successful publications are My Leader magazine, a monthly semi-glossy,100 page publication, that is aimed at Eastern Cape target audiences (LSM 7-10) innovative, independent, business-oriented individuals and groups that composes of males 70% and females 30%, where leadership in all facets of life becomes a cornerstone of the content of this publication. My Leader Magazine was founded by the entrepreneurial vision of a local born young man, Sandile Matebese, and has received massive acclaim from both Facebook and Twitter enthusiasts, after the electronic/on-line launch on 18th October 2014. Great followership can be witnessed on the popular social media as a verification to this innovative business concept. Thanks to Uphuhliso Development Initiative [Director L.L.Charles (Hashe)] for securing an office space for Nozinga Media and Publishing at Govan Mbeki Avenue in Port Elizabeth, we are in a position to act as the locally founded, highly successful BEE Publishing company in the region of the Nelson Mandela Bay. Alongside the founding editor Sandile Matebese (Director, Managing Editor), we have, who joined us on the editorial team, Mr. Gift Ngqondi, a Labour Relations Officer at the Nelson Mandela Bay Municipality,who is an experienced freelance writer of numerous papers, some featured from Eastern Cape Herald to Sunday Times newspapers, he was also part of the Editorial Team and the contributing writer of the local UBUNTU magazine , Mr. Tandile Kona from Uitenhage, a national president of Muslim Youth Movement, who is also a credible writer, in numerous electronic and print media platforms. On Management we have Mrs.Koliswa Notshulwana, a Masters graduate in Political Science in 2012 in NMMU, her research works includes the Masters title “An Analysis of the Role of Oversight of the Portfolio Committee on Education”: Republic of South Africa, who works as an analyst for Government Departments for National Intelligence Services in Gauteng, she is currently enrolled for her D.Litt and Phil in Politics with UNISA. In legal matters, Nozinga Media and Publishing has numerously consulted with an attorney a credible Mr. Mzimkhulu Kwini, who is in Senior Prosecution with the Nelson Mandela Bay Municipal Court. Nozinga Media and Publishing Company had secured an important editorial and management deal with the highly acclaimed Journalist and a Political Corespondent for Eastern Cape Herald, Mr.Hendrick Mpande, who has no problem in joining the editorial ranks of Nozinga Media and Publishing Company. Strategic planning and Media editorial Mr.Mandla Tyala, who was part of the editorial of the erstwhile Evening Post, an evening newspaper for Port Elizabeth and surrounding areas, has been earmarked to fill the ranks of Nozinga, as he also portrayed no problems to fill ranks and contribute to Nozinga. 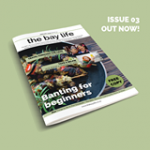 The Bay Life is a monthly community lifestyle magazine focussing on the local people, places and events in and around the Friendly City. Each issue has a jam packed “what’s on” calendar for the month, food and book reviews, mouth-watering recipes and legal advice, travel and health and wellness columns. This full colour glossy magazine is distributed free of charge in selected shopping centres, supermarkets and coffee shops throughout Port Elizabeth. Our Vision for our Digital Publication – the Eastern Cape AdMag is to give rightful online exposure for all businesses who advertise with us. Through our advertisers we will be enticing the public to support our local businesses by making available many offers that will encourage electronic as well as physical traffic and increase sales for each business who is with us. Trudon is the owner and publisher of the Yellow Pages, the Phone Book, Trudon Mobile and the operator assisted 10-11-8 business enquiries. 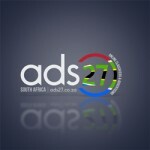 The information is also published online at www.yellowpages.co.za where you can get access to Maps and Directions as well as Citysearch.